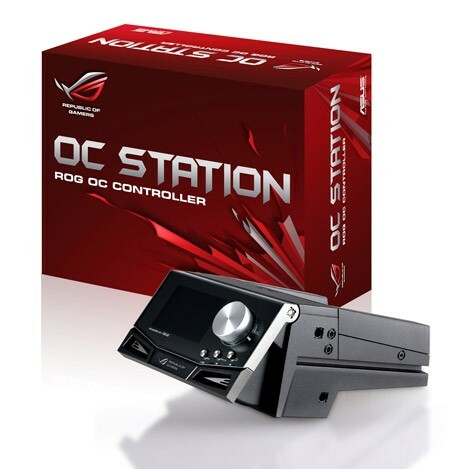 ASUS is doing what it can to bump up its gaming cred a few notches with its Republic of Gamers (ROG) OC Station. The bay-mounted overclock assistant lets you tweak parameters on the fly, even in the middle of a game, without ever having to dive into the BIOS. It's got a 3-inch LCD display, too, for keeping an eye on things or, apparently, showing your pictures in a slideshow. All this power comes at a cost, and not just financially: you're gonna have to give up two 5.25-inch bays to install this bad boy. It also looks like it only works with ROG motherboards, which is gonna limit the market even further. If you are, however, an anxious and willing member of that demographic, we hate to say you're gonna have to wait an undisclosed time before you can pick one up for an undisclosed number of Benjamins.